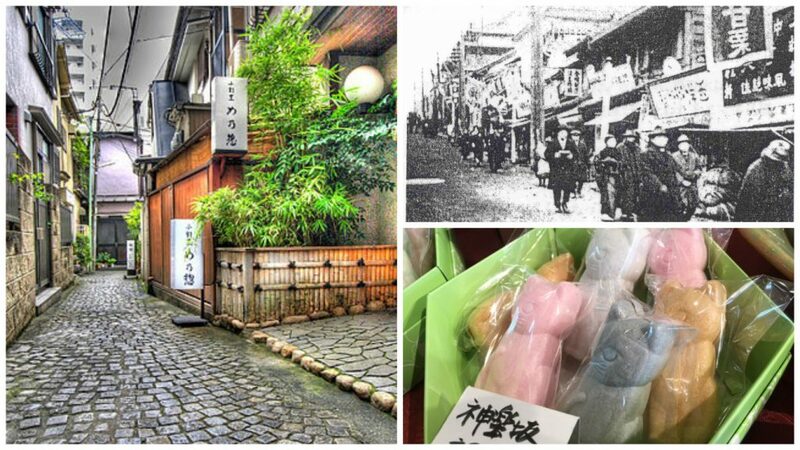 Baikatei is an award winning, family-owned confectionery in the historic Kagurazaka district in Tokyo, specializing in wagashi – traditional Japanese sweets typically enjoyed with tea. Baikatei’s history is intertwined with Kagurazaka’a own history. The confectionery was founded over 80 years ago, in 1935, during the Showa Period. This was the heyday of Kagurazaka as a hanamachi, or flower town, a place where geisha could conduct business and entertain patrons. Many of the teahouses, ryotei (upscale restaurants where geisha entertain, often reservation or invitation only), okiya (geisha houses), and peripheral businesses that flourished during this time remain in business today. Wagashi were essential to the tea ceremonies attended by the resident geisha, and Baikatei was determined to carve a niche for itself in the already saturated market. The company began business with a vision of producing handmade treats you could eat with your eyes as well as your taste buds. They also drew in customers with their seasonal specialties, and each batch was made with only domestic ingredients, by hand, and without preservatives. The formula was successful. Baikatei continues to stick to their roots and create wagashi the traditional way, but that doesn’t mean they don’t like to innovate and keep their customers coming back to see what’s new. Their elegant cat-shaped confections, for example, are a relatively new addition to the menu and were inspired by a couple of stray cats spotted exploring the district.